Self Storage Knightsbridge without lifting a finger.Even when times are good it make sense to save money.Self Storage Knightsbridge has never been more easier and affordable. Pick&Move portable storage units is the only solutions that deliver exceptional value without the hassle associated with self storage. We collect, store and return when you need it that simple. If your new home or place of business isn’t quite ready, don’t worry. We offer a secure, climate-controlled storage facilities. Monitored 24/7 with modern, high tech security systems and climate control technology without fear of moisture or humidity. We can store works of art, as well as your living room furniture and everything in between. You can choose either a short- or long-term storage situation – whatever fits your needs. The storage we provide to you becomes an extension of your home and your business. The value and benefit you get from us is the envy of Self Storage Knightsbridge, impossible to matched save time and money, and all the hassle today. We supply boxes, professionally pack your valuables and fragile ready to be stored, wait! there is more we are cheaper than any Self Storage Knightsbridge. We pick up, store, and bring back your stuff for fraction of the price Self Storage Knightsbridge charge savings of up to 60% Compared. We are not new to self storage, for over 14 years we’ve been creating value for our client in Knightsbridge and surrounding areas of Belgravia, Sloane Square, SW1,SW3, W1. Moving is hard work, as well as a time-consuming task. Self storage Knightsbridge is Do -it -yourself as the name suggested we know you have more important things to worry about. This is why Pick&Move provides moving and storage options at an affordable price in Knightsbridge, as well as time saving solutions that will help make your move less tiring and more enjoyable. Storage for Household in Knightsbridge. There’s an easier way, and it starts with Pick&Move. We’ll collect all your stuff, pack, load it into our vehicle, and transport to our secure storage facilities, unlike self storage we even arrange a pre-move survey for one of our storage consultant to visit you to assess the volume of items to be stored, he will seat with you to find out your specific needs and compile list of items room by room and any special request. 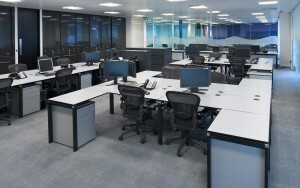 Is free no obligation service unlike Self Storage Knightsbridge. 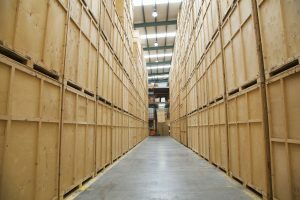 Is your business expanding or you need additional office space or perhaps your business is overflowing with excess inventories, maybe storing unused furniture whatever your requirement we have the right storage solutions for you. Need any of your storage items back or need to retrieve an item, no problem our retrieval service is fast to ensure no disruptions to your business. We offer FREE collection service for long term storage in addition to our generous discount and low storage rate, the value we offer our client cannot be matched by any self storage Knightsbridge or central London facilities alike.